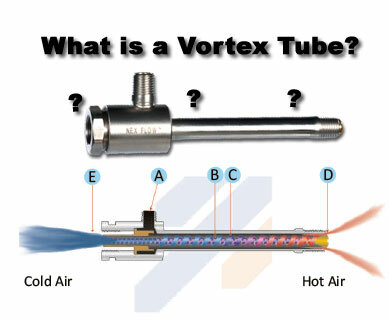 What is a Vortex Tube? A durable, stainless steel “Vortex tube” is used to convert compressed air into cold temperatures, as low as -50 oF (- 46 oC) to spot cool as well as to air condition an enclosure. Vortex Tubes are used when other cooling tools are not able to cool an area or an enclosure to the desired temperature. Vortex tube operated panel coolers are mounted on the top of electrical and electronic cabinets to send clean, cool air down into the panel, displacing hot air around sensitive electronics. The vortex electrical panel cooler is made of stainless steel to protect against rain, snow, humidity, outdoor use, and corrosive environments. 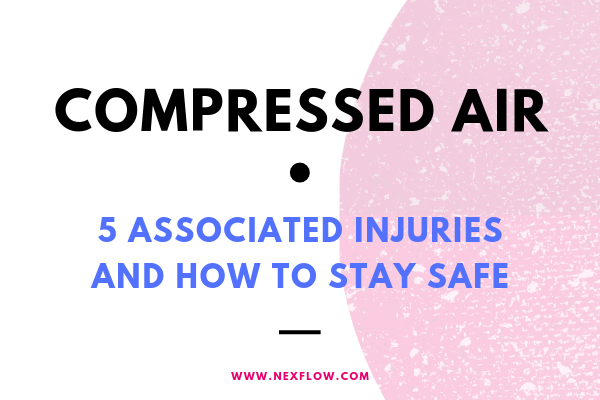 They work best in extremely hot and hazardous environments. Vortex tubes themselves can be made of aluminum, brass or stainless steel. 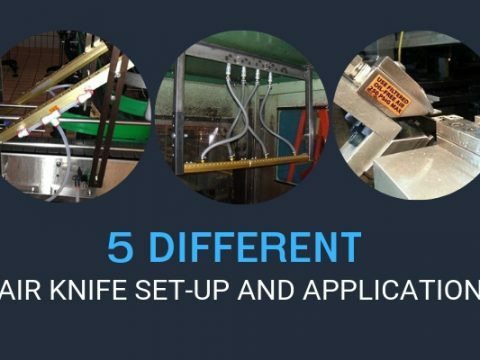 However,l Nex Flow™ chooses to use stainless steel for longer life and durability in all factory environments. The tube comes assembled with a brass generator, which provides a longer lifespan in high temperature environments compared to plastic used by some manufacturers. Continuous operation of the Vortex tube compressed air panel cooler is best when constant cooling and/or a positive purge of waste/heat is required. NOTE: The cooling effect (BTU/hr) is determined by flow and temperature drop. All Vortex tubes have a generator which is sized for a certain flow. There are two basic types of generators – one to produce extreme cold temperatures (maximum cold temperature out called the C generator) and another type to produce maximum amount of cooling (maximum refrigeration called the H generator). The Vortex Tube takes compressed air and converts it to cold air as low as minus 50° F (minus 46° C) at one end and hot air at the other up to 260° F (127° C). If cooling effect is important to the manufacturing application, then the cold air flowing out of the Vortex tube should be between 60% – 80%. This is called the Cold Fraction. Most industrial applications require the 60% to 80% setting and the H generator for optimal cooling. The Vortex Tubes with a C generator limits the Cold Fraction to a low value which produces extremely cold temperatures if required. When the internal temperature of an enclosure reaches the desired temperature, it is useful to have an automatic on-off thermostat to save energy costs. 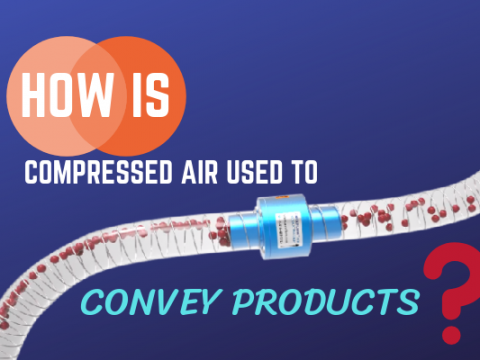 How does cold and hot air come from ONE compressed-air stream? A fluid, such as water or air that rotates around an axis — like a tornado — is called a vortex. A Vortex Tube turns factory compressed air into two airstreams, one very cold and one hot, using no moving parts. 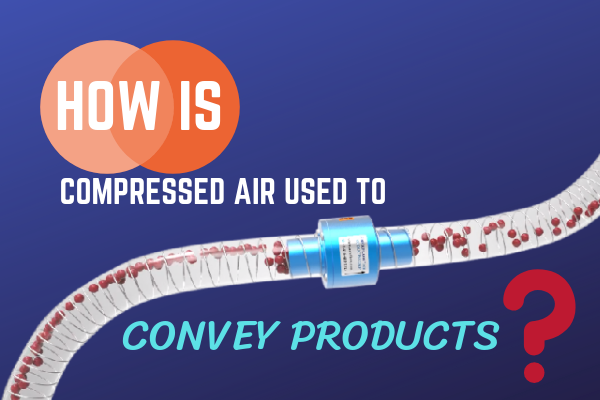 It creates a tornado or vortex of compressed air that separates the fluid into two air streams: one hot and one cold. Vortex generator, which is a stationary and interchangeable part, regulates the volume of compressed air. The generator alters the airflows and temperature ranges. The rotating air is forced down the inner walls of the hot tube at speeds reaching 1,000,000 rpm. At the Hot end of the tube, a small portion of this air exits through a hot air exhaust. The remaining air is forced back inside itself in the reverse direction through the center of the incoming air stream to create a stream of cold air at the cold end. The outside stream of air becomes hot and exhausts at the hot end of the tube. 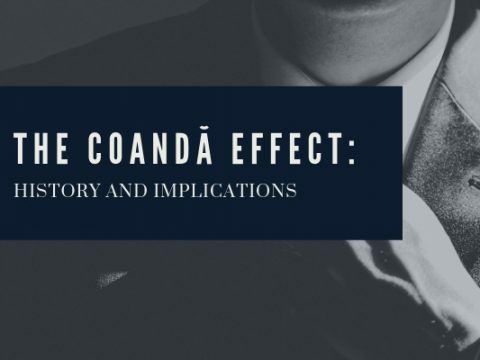 The heat of the slower-moving air directed at the cold end is shifted to the fast-moving incoming air, creating super-cooled air. The colder air flows through the center of the generator and exits through the cold air exhaust. NOTE: The Vortex temperatures and capacities can vary by adjusting the hot end plug at the hot end of the tube and by using different generators. The good news is that Vortex Tube behaviour is predictable and controllable. The Vortex Tubes have an adjustable valve at the hot end which controls the volume of the air flow and the temperature exiting at the cold end. 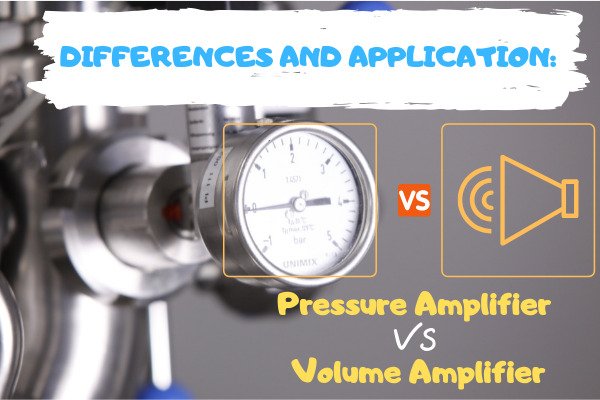 By adjusting the valve, you control the “cold fraction”, which is the percentage of total input compressed air that exits the cold end of the Vortex Tube. 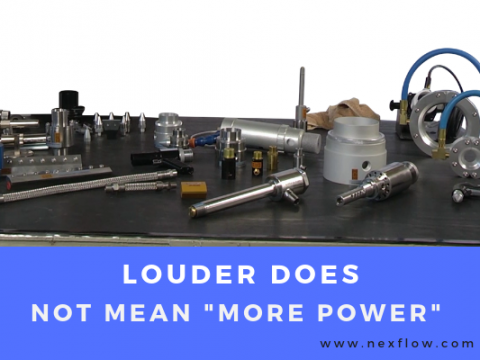 Nex Flow’s Vortex Tubes may also be supplied with a fixed pre-set “cold fraction” instead of an adjustable valve. The recommended guideline is: the less cold air released, the colder the air will become. The control knob adjusts the cold fraction, which is also a function of the type of vortex generator that is in the tube. There could be a high (industrial applications) or low cold fraction generator. A high cold fraction tube can result in 50-90°F (28-50°C) below the compressed air temperature. They also have greater air flow, yet they do not give the lowest possible temperatures. The maximum refrigeration capacity (greatest BTU/H or Kcal/H) results from a combination of airflow and cold temperature. A low cold fraction tube releases a smaller volume of air but extremely cold temperatures (down to -40°F/-40°C). Therefore, colder air is released with less volume. In summary, the maximum refrigeration (BTU/H or Kcal/H) capacity occurs with a higher cold fraction tube. The hot air is vented to the atmosphere above the Vortex Tube through a muffler to reduce noise (optional). For Vortex Tube operated cabinet enclosure coolers (Panel Coolers), cold air in the control panel or cabinet is vented below the Vortex Tube. The cold air enters the panel through the cold distribution hose. Holes are punched into the hose kit to deliver the cold air evenly inside the panel where required. 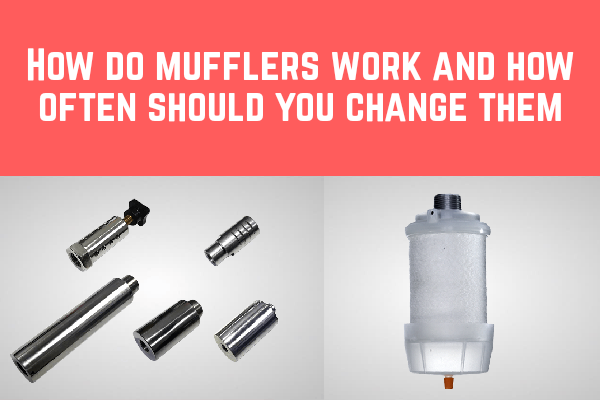 An optional muffler, in the cabinet, is added to reduce noise of exhausting air. Once sealed, the outside air is never allowed to enter the control panel. How do you control the flow rate and temperature when using a Frigid-X™ Vortex Tube? The flow rate and temperature in a Vortex Tube are interdependent. To set the Vortex Tube to the desired temperature simply insert a thermometer at the cold end and adjust the hot end valve. The optimum cooling effect is achieved when the difference from the inlet air temperature and the cold air drops is 50oF (28 oC). When using a Vortex tube in cooling laboratory samples or to test circuit boards, a ‘C’ generator is used because it limits the cold end flow rate to lower levels and produces very cold temperatures. 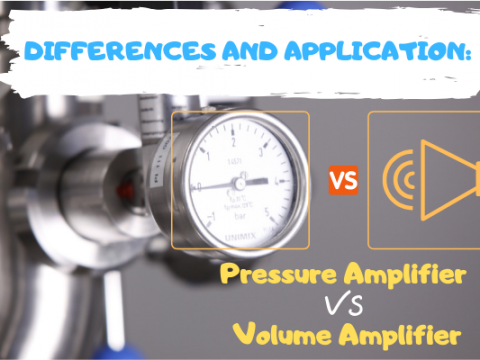 In summary, opening the adjustable hot end valve causes the cold air flow to decrease and the temperature drops. Closing the adjustable cold end valve increases the cold air flow and the temperature rises. 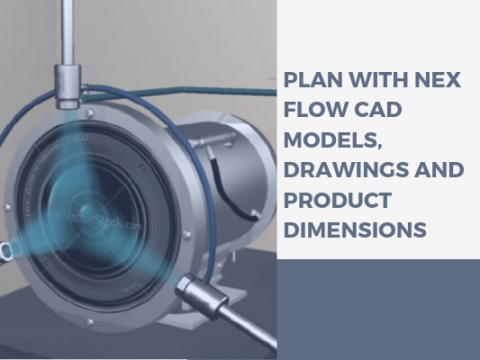 What are the advantages of the Vortex Tube compared to other cooling solutions? Vortex Tubes have many advantages over other cooling solutions. They use no electricity and are safe since they have no explosive risk. They have no RF interference. They cool without refrigerants (CFCs/HCFCs) or moving parts for trouble free and reliable operation. Vortex Tubes are compact, lightweight, and easy to install especially in tight areas. What is the Primary Application of Vortex Tubes? The main function of a Vortex tube is to provide air conditioning for enclosures in an industrial environment. It provides cold, dry, and clean air to enclosures, which house sensitive instruments. Frigid-X™ Adjustable Spot Cooler is a low cost and maintenance free system that comes with a magnetic base for mounting. This type of vortex tube is generally used in a laboratory environment where temperature adjustment is needed. the units are portable and easily mounted. NOTE: If more cooling is the 30 SCFM (850 SLPM) generator is available for up to 2,100 Btu/hr. of cooling. Frigid-X™ Tool Cooler is designed for all types of dry machining applications for materials like plastic, glass, ceramic, titanium, and others such as aluminum (if not deep hole drilling), and it has been used for cooling needles in sewing and cutters for textile cutting. 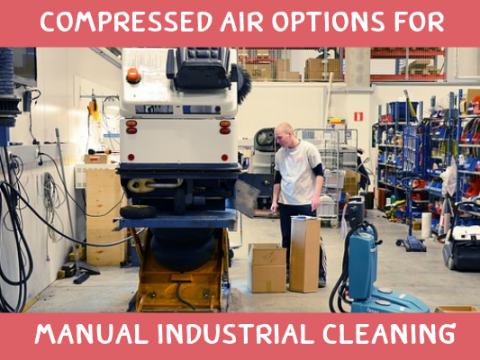 It can replace mist systems that are sometimes toxic when lubrication is not required. It is basically a no mess, no residue, and low-cost cooling solution. If some lubrication is required – a variation called Nex Flow™ Sub-Zero Vortex™ – can do just the job. Frigid-X™ Mini Spot Cooler is designed to cool small parts and produces a stream of 15 to 20 oF (minus -9.5 to -7 oC) of cold air to prevent heat buildup depending on inlet air temperature. It is often used to improve heat tolerances in machining of small critical parts and increase production rates. Frigid-X™ Box Cooler/Panel Cooler – For cooling small enclosures in laboratories, special environmental chambers, and various other application where an enclosure needs to be cooled. 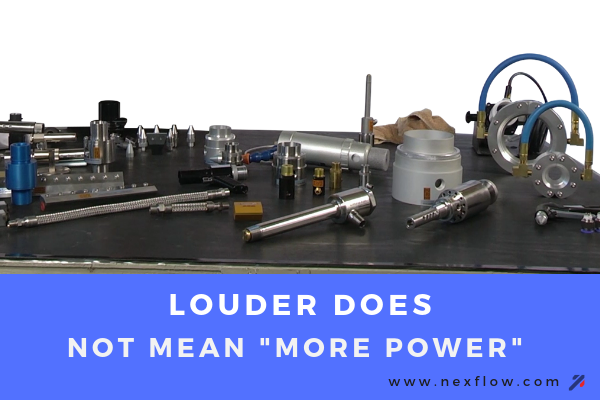 Cold end muffler (Optional): The Cold End Muffling Kit consists of a silencer and all necessary fittings to connect to the Panel Cooler at the cold air outlet inside the electrical control panel. Depending on the capacity of the specific Panel Cooler, the dBA reduction offered by the Cold End Muffling Kit is 5 to 6 dBA. It is easy to install. Depending on the installation space available, it can be installed with a vertical or horizontal silencer. Hot end muffler (Optional): The Hot End Muffling Kit consists of an ABS Plastic sleeve with silencing material fitted over the hot end of the Panel Cooler, outside of the control panel. The dBA reduction offered by the Hot End Muffling Kit is 2 dBA. It is also easy to install by fitting it over the top of the Panel Cooler. In addition to noise reduction, the hot end muffler offers additional protection from the hot end of the Panel Cooler. Optional side mount is available for installing in tight spaces: Two sizes are available – one for coolers 8 SCFM and under capacity; the other for larger coolers. The slim design minimizes the space of the cooler when mounted on the side. NOTE: The Side Mount is attached on the side of a cabinet but as near the top as possible so that the Panel Cooler can fit into the limited space they have. 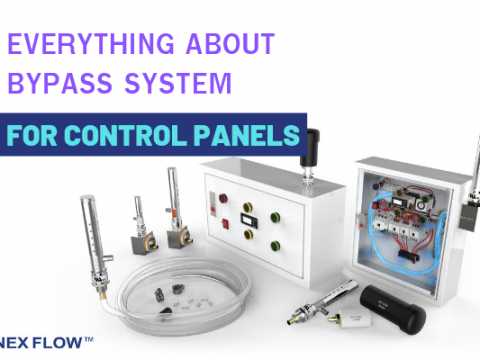 The hose distribution kit should be strung along the top of the inside of the panel with some holes to exhaust the cold air to avoid stratification of hot air at the top of the enclosure. 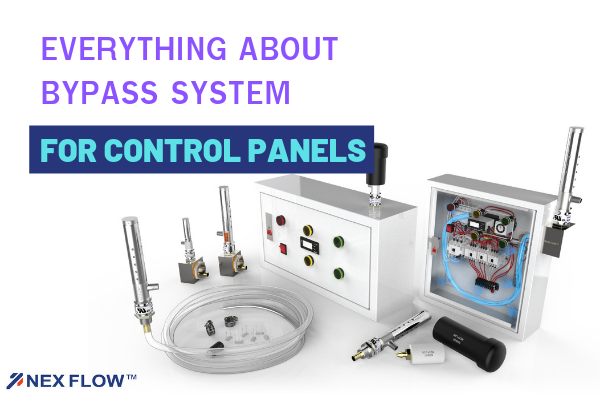 Properly installed, the Nex Flow™ Frigid-X™ Panel Cooler with Side Mount can provide maintenance free air conditioning for your electrical and electronic controls. What types of Enclosures can be Used with a Vortex Tube? NEMA Type 12 (IP 54) – This enclosure is for environments where no liquids (dripping or splashing) or corrosive material is present. Used for industrial use where the enclosure must keep dust away from electronics and protects equipment against ingress of solid foreign objects (falling dirt and circulating dust). NEMA 3R (IP 14) – A weatherproof enclosure that is sealed, has gasketed raised lids, and quick release lockable latches. Used to protect electrical panels outdoors. The strong enclosure will not be damaged if ice forms on the outside of the enclosure. It protects equipment against the harmful effects on the equipment due to the ingress of water (rain, sleet, snow). Patented NEMA Type 4-4X (IP 66)—This patented designed watertight enclosure provides personal protection against hazardous parts. Used to protect outdoor equipment and is splash resistant. It protects instruments from water (rain, sleet, snow, splashing water, and hose directed water). If ice forms on the outside of the enclosure, no damage will be sustained by the equipment inside. This enclosure provides additional protection against corrosion. Patented NEMA Type 4-4X-316L (IP 66) –The 316L stainless steel sealed enclosure is oil-tight, spray resistant, and is used in wet environments. It provides protection against dust. Used in food service, pharmaceutical, and extremely corrosive environments where 303/304 stainless steel is not adequate. How to install a Vortex Tube? When spot cooling with a Vortex Tube, it is good to have a small flexible hose connection at the cold end to direct the cold air to the spot being cooled. You need to keep the hose length as short as possible, preferable under 8 inches. Watch how to install a Vortex Tube below! The generators control the air consumption and are easily interchangeable. Extension of tool life reducing downtime and tooling costs. Appendix B: What are the main issues with other cooling solutions for Panel Cooling? Water cooled heat exchangers use water which is not compatible with electrics. In addition, scale buildup can cause reduced effectiveness over time and downtime for 4 descaling. Refrigerant CFC or HCFC Heat Exchangers are costlier with higher installation cost and lower life expectancy Installation requires a floor drain for condensate. Machine vibration can cause loss of refrigerant and component failure. 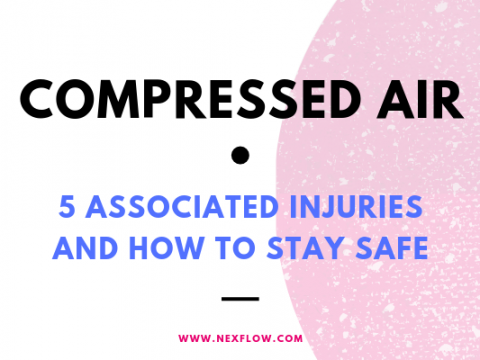 Average replacement cost of a compressor can be High. 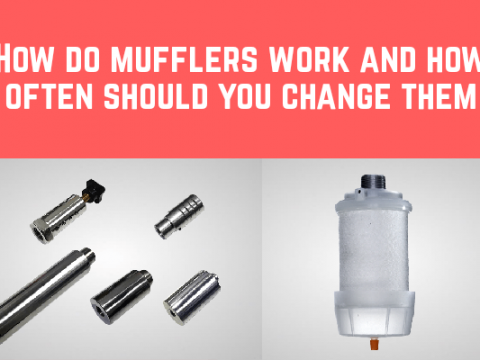 Filters require monitoring and change to prevent 4 failures. Cool enclosures that house sensitive electronics and protect them from corrosive or dirty environments.